It is so great to have the two of you visit today, Kathi and Susan.Â Could you start by telling us a little bit about yourself? Iâ€™m a Southern California gal, born and raised, married to my high school sweetheart, Al, whom Iâ€™ve known since we were six years old.Â He still remembers the day we were walking home from school and I told him I would be a writer some day. From the time I was a little girl I loved stories. My mother nurtured our love of books with her magical story hours, such as Jack and the Beanstalk, served with a hunk of bread and a piece of cheese, just like the giant demanded. I hid books under my napkin at dinner and at night read them under the sheets with a flashlight. In the 8thÂ grade I joined the newspaper staff and became a respectable writer.Â ButÂ after college I pursued a business career. It was not until I took time off for my pregnancy that I wrote my first book, a Christmas cookbook, followed by a kidâ€™s cookbook. Despite the success of those two books, I didnâ€™t write again until our daughter, Meg, went away to college. My husband, Ken,Â asked me, â€œWhat are you going to do with your lifeÂ now thatÂ you are no longer a parole officer 24/7?â€ (Our daughter had some tough teenage years.) â€œWrite.â€ I replied without hesitation. Since then Iâ€™ve had twenty books published. Isnâ€™t it amazing how God births our futures in our hearts, even while Heâ€™s knitting us together in our motherâ€™s womb? It surely is, Kathi.Â Lots of great experience between the two of your! Many writers have a â€œday job.â€Â Is that true of either ofÂ you? Iâ€™m blessed to be a fulltime writer/editor and have been for many years now, though I long ago â€œearned my spursâ€ by working for newspapers, magazines/newsletters, and a Christian publishing house. I am also my almost 90-year-old momâ€™s primary caretaker, so I suppose thatâ€™s my day job. I sell real estate to support my writing habit. Weekends are really busy, but during the week I have some flexibility with my hours, making it the perfect career for writing. I consider real estate my ministry too.Â The people I meet and the situations I see influence my writing, so I instill this same faith in the characters of my books. I also produce the Annual MOVIEGUIDEÂ® Awards, which is best described as the Christian Oscars. We present awards to redemptive and inspirational films and the Kairos Prize to first-time screenwriters. I sometimes work with my husband on his films or TV series. You’re two busy ladies!Â So what compelled you to write Valeriaâ€™s Cross? As I was reading Foxeâ€™s Book of Martyrs, I came across the story of the Theban Legion, an entire legion (6600) of valiant warriors martyred for refusing to compromise their faith in Christ. I was stunned that no one had told their story before! I shared it with Susan, who agreed it would make a wonderful story. Because sheâ€™s an historian/researcher extraordinaire with a passion for third-century stories, we decided we were a â€œmatch made in heavenâ€! I wanted to collaborate with Kathi, so when she proposed writing about the legendary Theban Legion, I was thrilled! I suggested that its captain, Mauritius, needed a love interest. Mauritius fought under Roman Emperor Diocletian, and I had recently toured the remains of the emperorâ€™s palace in Split, Croatia. Our tour guide explained that Diocletian had a Christian daughter, Valeria. That intrigued me, for still today, the evil Diocletian is considered one of the greatest persecutors of Christians of all times. Ooooh, youâ€™re whetting our appetites!Â Tell us a bit more about your book. 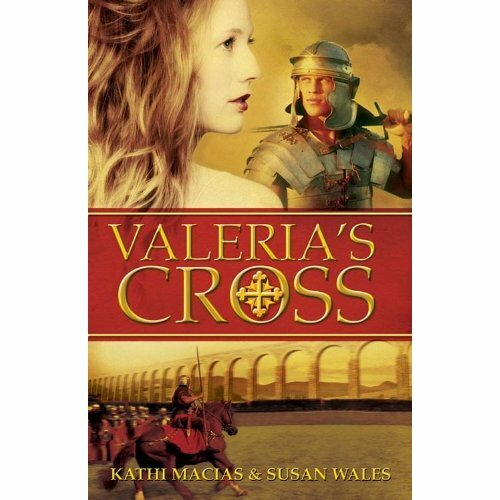 Valeriaâ€™s Cross is a story about â€œlost love, torn loyalties, and a dangerous faith,â€ as the bookâ€™s tagline declares. It takes place in a time when declaring your faith in Christ was tantamount to a death sentence–much like today in some places. But Princess Valeria, born into wealth and opulence as the Emperor Diocletianâ€™s daughter, knew or cared little for that.Â She was much more concerned with what to wear to the next ball. When she and her mother, Prisca, study under the Coptic monks and are introduced to Jesus, all that changes. Valeriaâ€™s faith is young and untested when she meets and falls madly in love with Mauritius, the leader of the Theban Legion. When General Galerius, a favorite of Diocletian, decides he wants Valeria for his wife, the battle is on! Basically, our book tells the story of the Theban Legion, who fought under Emperor Diocletian in the battle of Gaul, from the perspective of Valeria. Itâ€™s loosely a bio of her life, although we had to fictionalize in order to fill in the historical gaps. Most of the story takes place in 3rd Century A.D., a turbulent time in the Roman Empire. Although Diocletian was infamous as theÂ greatest persecutor of Christians, he was also known for his brilliant military and political mind. I know from personal experience how much research such a book takes.Â How did you two manage that? If Valeria was to become Mauritiusâ€™ love interest, we had to somehow get her to Egypt so they could meet. After perusing dozens of history books, I finally discovered that Diocletian had a palace in Elephantine, Egypt, across the river from the Theban community! We had to tweak the location and the dates, but because our romance was fictional, we took poetic license. Kathi and I divided up our duties equally, and since I am the research addict, I volunteered to handle most of it. I had made a recent trip to many of these settings, so I was able to describe them as I had seen them . . . that was a blessing indeed! Iâ€™ve co-authored many books before, and each experience has been different. Co-authoring nonfiction books is actually quite a bit easier, particularly if one author is an expert in a certain field and the other author is the primary writer. When both are writers, as in Susanâ€™s and my case, itâ€™s a challenge to blend the two styles. 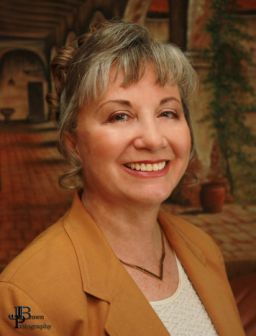 At the same time, it can be a plus when your specialties (Susanâ€™s amazing storytelling abilities and historical perspective, and my many years of experience as both a writer and editor) can definitely complement one another and improve the final product. Kathi and I both experienced a number of trials and tribulations in our lives while we were writing, but we were a team, able to pray and encourage one another. Honestly, we could have rewritten the Book of Job! I do not know how I could have survived the grief of my fatherâ€™s death without Kathiâ€™s encouragement and support. How do you balance your writerâ€™s life with the rest of life? Do you get up early? Stay up late? Ignore friends and family? Guilty! I must confess that there are times when I ignore my husband and my friends. My husband is quite the social butterfly, and I used to think it was my duty to go everywhere with him. It was impossible for me to keep up that pace. Nowadays he occasionally goes alone, but we have a rule that when it is really important to him for me to go with him, Iâ€™m there no matter what the deadline! Ken often points out that I need to live life in order to write about it. Good point! However, I must admit I love writing, and I am so happy and content sitting at home working on a book. I get up early. Since I live on the West Coast and my agents and publishers are back East, I need to be up and around early to connect with them. In addition, many of the radio programs I do are for stations back East, so theyâ€™re usually scheduled early too. Iâ€™m an early riser, as well. . . love that time of the day when the phone doesnâ€™t ring, there are no leaf blowers, and itâ€™s quiet. When Ken is out-of-town, I am a night owl, too. I donâ€™t really stay up late muchâ€”my eyes are bleary and my brain fuzzy by then. And when Iâ€™m working, everyone knows to leave me alone as much as possible. I seldom answer the phone during work hours unless I know itâ€™s business-related and canâ€™t be put off until later. Is there any particular book that, when you read it, you thought, â€œI wish I had written that!â€? Absolutely! Cry the Beloved Country by Alan Paton was stunning in its beauty and uncompromised truth. I reread sections just to absorb the emotions evoked by the text. Obviously I couldnâ€™t write that book because Mr. Paton had already done such a magnificent job of it, but I could let it inspire me to write something similar, which I did in No Greater Love. Though Iâ€™ve never set foot in South Africa, a large portion of my heart now dwells there. I love Harper Leeâ€™s To Kill a Mockingbird, as do many others! She and I both grew up in Alabama, albeit from different generations, but we have had some of the same experiences and known many of the same characters in our lives.Â How I wish I could have written that book! But Harper Lee never wrote another book . . . I could never write just one book. I have so many books in me! 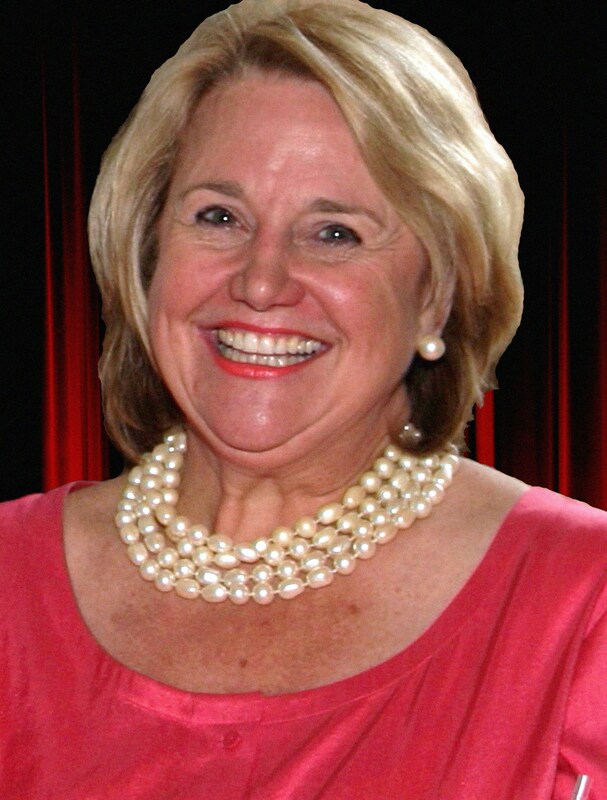 Kathiâ€¦ Susanâ€¦ you are such wonderful guests! Is there anything else you would like to add? Write your passion! Pursue the dream God has given you, rather than trying to mold yourself to a trend or fad. If your passion or dream isnâ€™t written into your story/book, your heart wonâ€™t be there either. Never give up! Persevering is one of the greatest lessons in the Bible. If God has given you a story to tell, then he will provide an opportunity for you to tell it! This entry was posted in Blog and tagged Abingdon, authors, historical fiction, Kathi Macias, Susan Wales, Valeria's Cross, writers, writing. Bookmark the permalink. Love the review! The book sounds GREAT! What a wonderful and interesting interview. I enjoyed my time with these fabulous authors! I rarely see an interview with two authors, so I found it both interesting and refreshing! Thank you for sharing! Can’t wait to read Valeria’s Cross. I know it’s going to be fabulous! Thank so much to all of you for coming by! Two authors; two perspectives; two women of wisdom from whom we can learn. If the book is as fascinating as the interview, we have some great reading ahead. Thanks to all three of you! Thanks, Marti. It’s great to have the two perspectives, isn’t it? Thank you, Kay, for a wonderful interview. Kathi and Susan combined their strengths and wrote a fabulous novel. I appreciate your encouragement, Yvonne. We all do!